A Swedish hospital on Friday said it was treating a female patient with Lassa fever, citing that she had contracted the disease while traveling in West Africa. The Sahlgrenska University Hospital, where she was being treated, said that her condition was improving. However, in line with national guidelines, she would be shortly moved from the hospital in the west coast city of Gothenburg to a special unit at Linkoping University Hospital, south-west of Stockholm. Meanwhile precaution health officials were also generating a list of people, including those in the hospital, who had close contact with the patient. In 2011, a Swedish woman who worked for Doctors Without Borders (MSF) in West Africa was also treated at Linkoping for the disease. 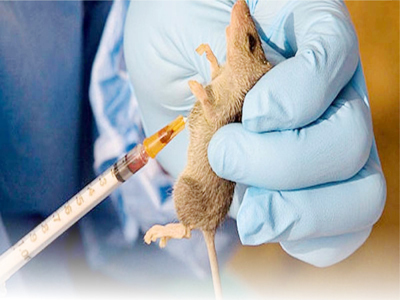 According to the World Health Organisation (WHO), the Lassa virus is transmitted to humans from contact with rodent excretions, and between humans through blood, urine and bodily secretions as well as contaminated medical equipment. “The disease results in hearing loss in 25 per cent of patients, and in severe cases the mortality rate can be as high as 15 per cent,” WHO said. Symptoms of the disease include fever, weakness, headaches, vomiting and diarrhoea. The first confirmed case of the disease was in 1969, in Lassa village in Nigeria’s Borno. Report says the disease is endemic in several West African countries but rare in Europe.